The cast of Tony-winning Vanya and Sonia and Masha and Spike welcomes Judith Sheindlin to the Golden Theatre after the August 15 evening performance. 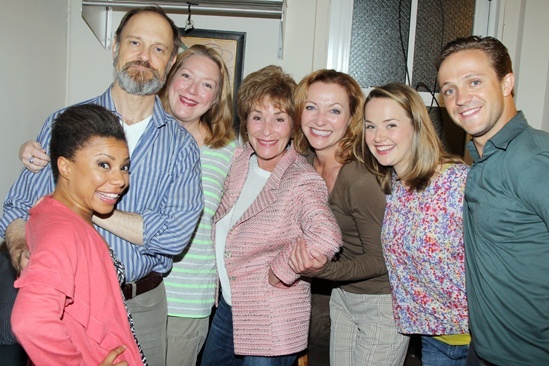 From left: Shalita Grant, David Hyde Pierce, Kristine Nielsen, Judith Sheindlin, Julie White, Liesel Allen Yeager and Creed Garnick. Judge Judy visits Vanya and Sonia and Masha and Spike on August 15, 2013.